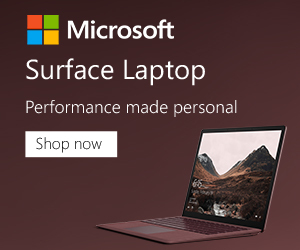 Who said that you need to break the bank to own a good laptop? Believe us when we say that you can actually find a machine with a powerful processor, huge RAM, and HDD at the $500 price range. Sounds too incredible and almost hard to believe? Well, let’s walk you through some awesome machines that fit the bill. You probably are thinking that all machines that cost less than $500 come with Pentium or Celeron processors. But the reality, as seen on the F510UA-AH51 is quite different. 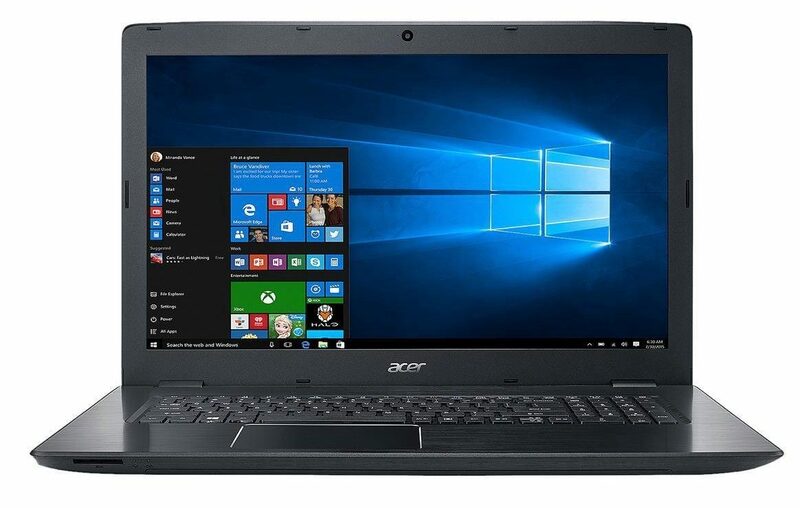 This $500 laptop model comes with a reliable Intel Core i5-8250U processor with the potential to be turbocharged to a frequency of 3.4GHz. That’s enough torque to run most basic activities plus a few heavy-duty programs. In fact, you can play some low-performance games with this machine. Its 14.2-inch widescreen is probably the best thing we’ve seen in a long time at this budget range. Armed with a 0.3-inch NanoEdge bezel, this laptop boasts an excellent screen-to-body ratio of 80%. 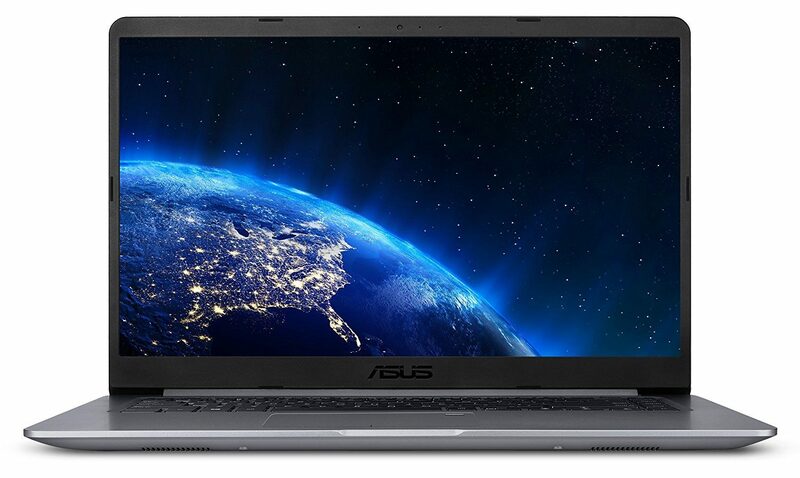 And to make the deal even sweeter, the model is equipped with an ASUS Splendid software enhancement program. This provides you with a much-needed FHD display view which is rich in color and value. To back up the powerful processor and HD display is an 8GB RAM. This is quite superior – at its price, we’d have been contented if it came with a 4GB RAM. So, we’re really glad to see that it offers twice that capacity. It’s one thing to have a huge performance capacity but another to have the HDD storage you need. Luckily, this unit from ASUS provides you with what may seem like an overkill storage space of 1TB. And to complete the equation, the ASUS VivoBook boasts an ergonomic Chiclet keyboard which comes complete with a fingerprint sensor. The keyboard, however, isn’t backlit which means the Vivobook would be less ideal to use at night or in dimly lit rooms. With a well-designed 360-degree hinge, this 12-incher is capable of turning all the way around. That’s of course, in addition to the fact that it comes fully-loaded with a touchscreen. 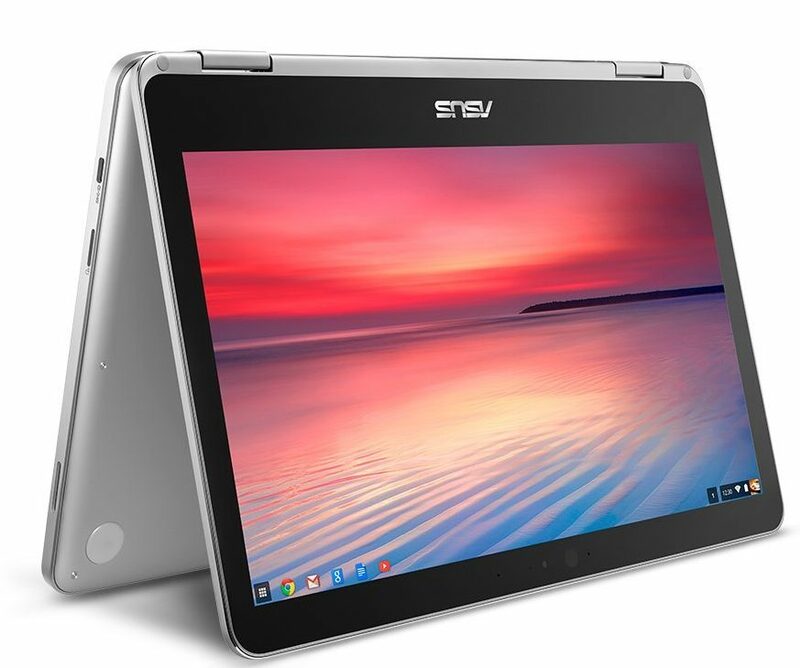 We’d recommend this Chromebook for business use especially for careers that involve conducting presentations and showcasing demos. Its flexible screen is a plus, especially in board-room settings. Powered by an Intel Core m3 processor, this unit is capable of handling all light duty tasks. That’s also thanks to the fact that it comes with a 4GB RAM which goes a long way in providing it with an efficient performance. Yet another quality that catapults this Chromebook miles ahead of the pack is the fact that it comes with a backlit illuminated keyboard. You can, therefore, use it even in dimly lit rooms without disturbing others. Its biggest downfall to this end is the fact that it provides you with a paltry 64GB worth of storage. That may not be enough for those who like watching HD movies and downloading all manner of stuff. However, if you’re a typical office executive who just needs a simple machine for record-keeping, presentations and accessing the internet, that storage space may not be an issue. To complement all your professional and personal image requirements, this unit is encased in a machined aluminum metal body. This looks quite classy – in fact, some argue that its looks rival the kind of stuff you’d get on a MacBook Pro. Of course, this may not rival the MacBook Pro in performance but it certainly weighs almost 50% less. Its battery life, at 10 hours, is also quite great. This machine is a dream come true to anyone looking for a huge display screen and full-sized keyboard. Providing a stunning 1600×900 resolution and powered by an Intel HD Graphics card, the Pavillion offers a great bargain at its under $500 price tag. On top of that, it comes with an Intel Core i3-7100U processor complete with an 8GB DDR4 SDRAM. Those may look like normal specs but to be honest, they’re rare to find on cheap laptops these days. And what about storage? Believe you me but this notebook provides you with a 2TB storage capacity. The memory operates pretty fast at 5400RPM meaning this is a machine you can count on for professional work. Thanks to its gigantic size, this unit provides you with an island-style backlit keyboard. Yup, you read that right – the keyboard is also backlit. That’s a big plus to anyone who may need to work at night in a room shared by others – a backlit keyboard removes the need to leave the light bulb on. 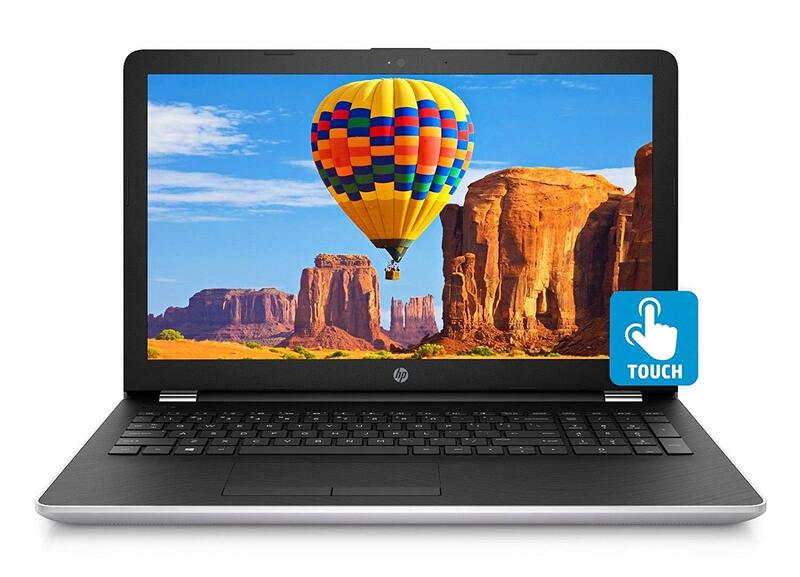 Moving on, this Core i3 machine from HP boasts the ability to provide a typical battery life of 6hours and 45 minutes. That, however, may go to as low as 5 hours and 45 minutes in video playback. Just so your expectations are set right, remember that this machine may not be one of those sleek models you’ll encounter at prices exceeding the $1000 mark. It’s kind of a dinosaur but, interestingly, can do all you want without compromising. The E15 is what pundits often refer to as a mix of fresh components housed in a simple design. It, of course, may not rival the kind of quality you’d expect to find in the big boy club but it has all the absolute basics needed for emailing, browsing, listening to music and watching videos. Its core i3 processor has the power to run all this stuff although it might struggle running too many programs at once. Regardless of that, this unit provides you with a great supply of bevy ports, a full HD display, and an 8x DVD burner. Moving on, this machine is 3cm thick and weighs over 5 pounds. 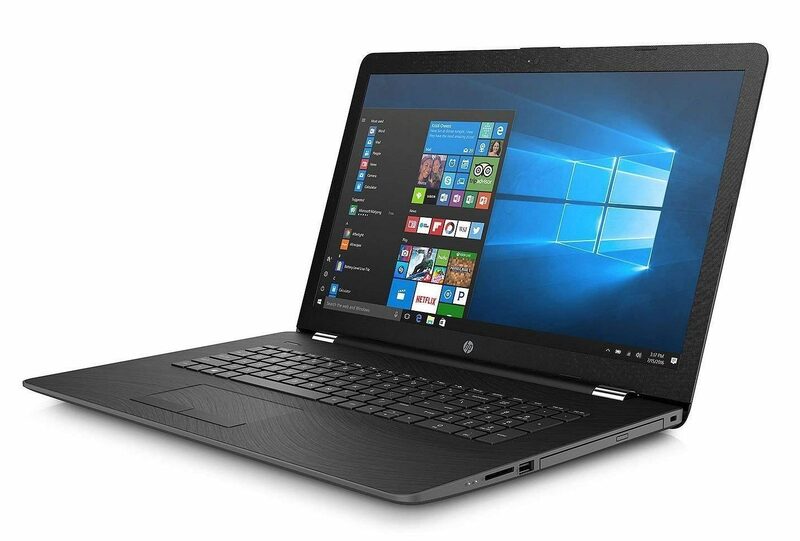 As such, it may not be your go-to alternative if you’re looking for an ultra-thin laptop. Its housing is made from textured plastic and not machined aluminum. If you’re planning to carry it with you every so often, you may realize that it’s a bit heavy and less sturdy as compared to a machine with an aluminum housing. But hey – it’s a cheap machine and it’s only realistic to expect a few compromises here and there when you opt for the under 500 price tag. To be fair, this is one of the reliable machines that are capable of punching above their weight. Its design is also pretty comfortable and the battery life is pretty decent as long as the machine isn’t put under a heavy workload. So, despite the few shortcomings noted earlier, the E15 offers a competitive, must-have kind of deal. 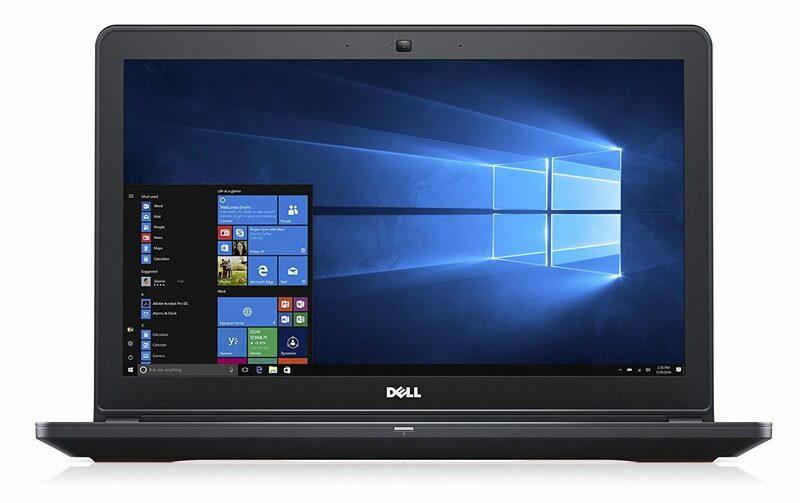 Enter the Dell Inspiron 2018, a powerful yet low priced unit with a full-sized 6-row keyboard. The machine provides you with a powerful Intel Core i3-7130U processor which is more than enough for day-to-day office use. And to make sure your machine never lags even when using multiple programs at once, this unit provides you with an 8GB SDRAM display. In other words, this is just as much torque as you can expect to find in one of those overpriced models. That, therefore, confirms that this Dell Inspiron represents nothing but a good value pack. And on top of that, it offers a superb 1366768 anti-glare display. The display performs quite well especially due to the use of an HD 620 graphics card. Great processing power demands a roomy storage space. 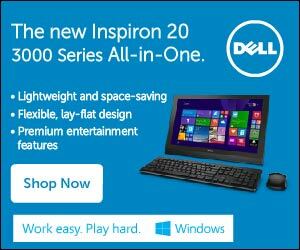 So, does the Dell Inspiron rig offer something worth writing home about? Well, a closer look reveals that it provides a 1TB HDD. You can use it to stash a wide variety of documents, pictures, presentations, and even movies. Above all, it runs on the ever-powerful Windows 10 OS. Add that to the fact that this unit packs a 4-cell Li-ion battery and you have one of the sweetest deals money can buy at such a cheap price. This is a great entry-level machine with great looks, a superb battery life, and above-average looks. On the flipside, though, the machine’s great potential is stymied by a dull display and a relatively weak audio system. That should, however, not discourage you from opting for this 15-incher. Its 7-th generation Core i3 processor isn’t one to be written off. And unless you’re planning to give some AAA titles a shot, this laptop would not disappoint as far as processing speeds are concerned. It’s 8GB RAM and 1TB HDD further make this a great find for anyone looking to get the hugest value possible out of a low-priced rig. As we have noted, though, the machine’s audio isn’t as powerful as you’d expect. Even when operated at a maximum volume, it struggles to fill an average-sized room. Its keyboard, however, seems well-made. It’s comfortable to type on and its feedback is nothing short of awesome. We particularly loved the machine’s generous touchpad size. Its gestures are also pretty accurate and near-instantaneous. The keyboard isn’t backlit, though! 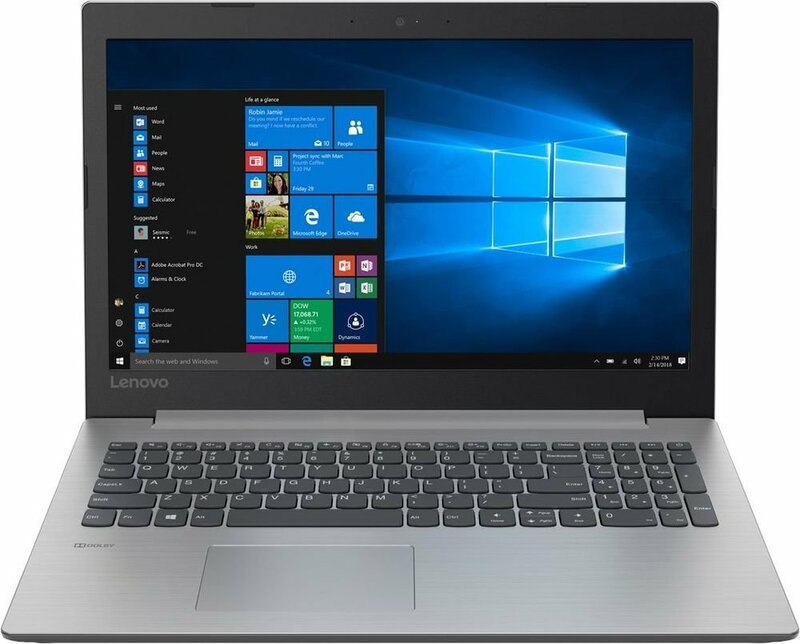 If you’re really on a tight budget and need a basic machine that can get stuff done, we’d recommend going for the Lenovo 330. 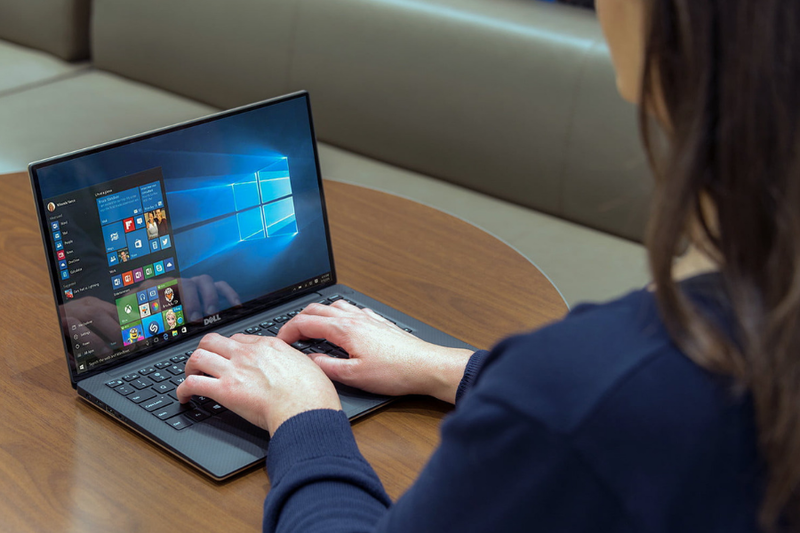 The machine packs a humble Intel Celeron processor which has all the power to get you past all entry-level tasks ranging from light work, video streaming, and internet surfing. We’d not recommend it for graphically intensive assignments, though. The best it can handle is business graphics. Its low GHz makes it unsuitable for most modern-day games. That said, the machine is pretty energy efficient. Its 4-cell Li-ion battery lasts for around 3 hours although that may vary depending on factors like battery power settings and screen brightness. Also, you’re likely to get less than 2 hours of power if watching DVDs and Blu-ray stuff. As a consolation, the Lenovo 330-15IGM provides you with a 500GB HDD. That’s a pretty huge storage capacity that you can comfortably use for storing movies and HD content. Lastly, the machine packs a 5400 RPM hard drive which is not only speedy but also designed to generate less noise and heat. Of course, the 5400 RPM further contributes to this machine’s energy efficiency. 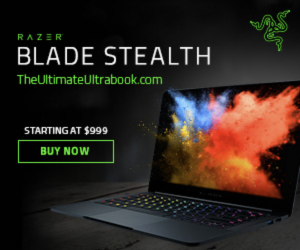 Even though the sleek, high-performance laptops cost a lot more, you can still find a good deal at prices slightly above or below the $500 mark. However, you have to be prepared to make some compromises. For that reason, it’s important to prioritize the features that matter the most to you. That way, you’ll be able to zero in on a machine that meets your exact needs without breaking the bank.